Hello USO Fort Campbell and USO Nashville volunteers! Attached (below in a link) please find the 2018 midyear Program Highlights for USO Fort Campbell/Nashville. Thank you for all of your passion and efforts to help us deliver this much programming to our local and traveling service members and their families! As you know, this is a summary document that illustrates how we stay busy in the mission from day to day, but it does not describe every connection you made or every family you helped. As always, if you have ideas for future programming, please share them with USO Staff, but in particular with Pamela Holz, our Center Operations and Programs Manager for both centers and all of our efforts in TN and KY. And as we've shared in orientations, please be prepared for us to enthusiastically latch onto the idea and pull you with us, or for us to modify your idea, or in some cases, to not be able to implement the idea. I'd also like to share two opportunities with you. First, I've started a new "get to know us" program called "YOU in the USO." It is a tour of USO Fort Campbell with information about supporting USO Fort Campbell and USO Nashville in many ways, including program sponsorship, Pathfinder integration, and volunteering (as individuals or under the Corporate Volunteer Program). If you know someone that would be interested in learning more about how they can impact our mission, I'd love to invite him or her to an upcoming YOU in the USO tour! Please do not hesitate to reply back to me and make the connection! Second, the USO established a planned giving program recently and I have not shared that information with you yet. You can join a steadfast group of supporters when you include a gift to the USO in your estate plan. Visit www.uso.org/society to explore your giving options, learn about the benefits of membership, and submit your commitment form. Thank you for everything you do in support of the USO mission to strengthen America's military service members by keeping them connected to family, home, and country throughout their service to the nation! The Middle TN Chapter, MOAA continues to be a supporter of USO Nashville, and as such would like to bring an additional volunteer opportunity to your attention. USO Nashville now operates a USO Center at the Nashville Military Entrance Processing Station (MEPS) as well as the USO Center at the Nashville International Airport. The "USO Center at Nashville International Airport" volunteer option entails serving as the Center host on one of four possible shifts (6:00 AM-10:00 AM, 10:00 AM -2:00 PM, 2:00 PM-6:00 PM, and 6:00 PM -10:00 PM) for active and reserve servicemembers and their families, as well as military retirees and their families. Duties entail just about everything you would imagine necessary to provide a clean, comfortable and welcoming setting for these visitors coming through the airport. Because the Center is located inside of the security zone at the airport, volunteers are required to undergo an annual security test for badging. To justify the cost of this process volunteers are required to work at least two shifts per month for a 12 month period. Please note that recruiting volunteers for the Airport Center has not been a problem; however recruiting volunteers that can commit to work the 6:00 PM daily shifts and weekend shifts has been a challenge so you should consider when you could commit to work prior to inquiring about volunteering at the airport center. And you should be aware that at any given time there may be a waiting list for volunteers at the airport as there is a restriction by the airport as to the number of badged volunteers that can be on the roll for a given organization. "The USO Center at MEPS" entails providing hospitality and an introduction to the USO to the new recruits and their families as they move through the Processing Center. There are two shifts per day (8:00 AM -12:00 PM and 12:00 PM -4:00PM) that are staffed by either one or two volunteers depending upon the anticipated level of activity at MEPS. Duties are about the same as those at the airport. There is no badging requirement and there is no minimum number of shifts that you must commit for. Please note that this Center has its biggest need for the morning shift volunteers (especially on Mondays and Tuesdays where it is staffed by two volunteers) and it does not provide an opportunity to volunteer on weekends. The Nashville MEPS is located at 20 Bridgestone Park, Nashville, TN 37214. 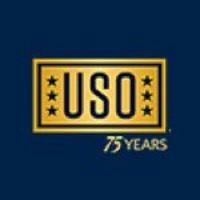 For 75 years, the USO has been the nation’s leading organization to serve the men and women in the U.S. military, and their families, throughout their time in uniform. From the moment they join, through their assignments and deployments, and as they transition back to their communities, the USO has always been by their side. The USO strengthens America’s military service members by keeping them connected to family, home and country, throughout their service to the nation. The USO is not part of the federal government. A congressionally chartered, private organization, the USO relies on the generosity of individuals, organizations and corporations to support its activities, and is powered by a family of volunteers to accomplish our mission of connection. If you think that you would be interested in committing to become one of these volunteers then please visit https://volunteers.uso.org and register to begin volunteering. Once you have completed that process, you will be contacted by Ms. Tammy Bass, USO Nashville Manager to continue the discussion as to where you would best fit in as a volunteer. The "USO Center at Ft. Campbell" is looking for volunteers year-round to keep the newly renovated building open to benefit the soldiers at Fort Campbell. Located at 2577-B Kentucky Ave. on post, the USO Center is open Mondays through Thursdays from 8 a.m. to 8 p.m., on Fridays from 8 a.m. to 10 p.m. and Saturdays from 10 a.m. to 10 p.m.
Those wanting to volunteer to work at the USO Center at Fort Campbell can go through the website www.usovolunteer.org and fill out a profile about themselves. That profile will go to the Fort Campbell USO Center office, and an orientation is set up to provide volunteers with information about the center. Those who do not have a computer may go to the USO Center and use one of those that are available. Volunteer shifts are usually three to four hours long, but the USO Center will accept any amount that a person wants to dedicate. More information can be obtained by calling the USO Center at 931-542-3320.